The options for finding the right marketing expert to craft your messages can be overwhelming especially for those who don’t know what to expect when you hire a copywriter. Once the importance of copy is understood, the search for a proficient copywriter begins. Savvy business owners check with friends, family, colleagues and start surfing websites to find the perfect wordsmith for your project. Often, those who have not worked with copywriters are not familiar with the process of copywriting. Some even expect that the copywriter will automatically know what you need. Others hope copywriters will magically turn out a proof perfect piece with the very first draft. Copywriters can (and good one’s will) make suggestions on marketing direction and provide valuable input based on experience. This direction comes once you have provided the basic project information needed to proceed. The expectations vary but the reality remains the same. Here’s some information to unveil the copywriting process. First, copywriting is a process. You, the client, have your work cut out for you. You owe it to yourself and your selected copywriter to commit to due diligence. Your input is valuable and your initial legwork will make the difference between mediocre and money making content. With that said, let’s explore the copywriting process. This may or may not come as a surprise to many but what I am about to share is the truth and nothing but the truth. Copywriters are not mind readers. It may seem simple enough but for some reason that I cannot quite fathom, some clients actually expect magic with absolutely no background information. While I would love to have supernatural, mind reading powers, I don’t. I’m happy to say that creative inspiration is second nature and I am rather intuitive. At the same time creative inspiration is empowered by thorough information. In fact, I rely on my clients drive and dedication to their business. This ensures they are willing to give me the background information I need to create compelling copy. Information truly is the foundation that begins the copywriting process. When you hire a copywriter, expect a process. 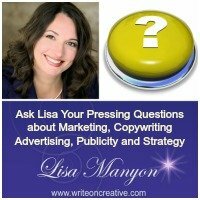 You should also ask potential copywriters what they require in advance and become familiar with their creative process. This ensures their method matches your best work style. In order to capture the basic information I need to work on a copy project, I offer an in-depth questionnaire process specific to their project. Clients must review, insert answers and email the document back to me. Once I’ve received the questionnaire and any additional support material provided, I review the material and start pulling together key elements to create the first draft. We then schedule a conference call and discuss further details if necessary. Sometime the call is not scheduled until after the initial draft is created. After the first draft is provided (note: first draft means starting point — think of this as the basic information to really get clear on direction) together we review the content and shape the direction of the final product (often the client will use “tracking” within the document to make suggested edits or note changes desired prior to discussing). With the proper clarification and feedback from the client, we move on to create draft two. This includes more of the essence of the project based on our clarifying calls, client notes in the document, and email exchanges. Draft two is delivered and together we make any final adjustments, provide feedback and make sure we have the overall strategy of the piece dialed in. Finally, draft three is provided and this final product is MUCH different than the first draft because it’s been created via a collaborative and creative effort. If clients don’t wish to participate in the process or have a different working style, it’s a clear signal our work styles don’t match. That’s okay because I think we all want to work with people who are a good fit. It’s also common for copywriters to require a deposit, if not full payment, for the project, BEFORE work begins. I offer payment plans for the convenience of my clients. Once payment is received and information is gathered, a first draft is provided. The key here is “first draft”. The draft always sets the tone for final direction of a project. This is where the client and copywriter come together again to explore the nature of the project. The first draft usually changes dramatically. That’s why many copywriters include two rounds of revisions in copywriting packages. There are times when you have done such a great job providing information that only minor revisions are needed. Work is required of both the client and the copywriter. Payment is required in advance (either partial or full or based on a payment plan). The first draft is the road map to the final product. Generally the remaining balance is due upon receipt of the first draft and final changes are made after that. Again, this process will vary from copywriter to copywriter. Having a general idea of what to expect will make your decision much easier. Here’s an article that will help you select the right copywriter for your projects. You’ll be better prepared to give your copywriter of choice the best information possible. Ultimately, this understanding will ensure your copywriter delivers exactly what you need to grow your business. To learn more about copywriting and how to create better marketing messages get your FREE Copywriting Action Plan at www.writeoncreative.com. This entry was posted in Copywriting	on Monday	February 11, 2017 at 12:57 pm. You can follow any responses to this entry through the RSS2.0 feed. You can also leave a response. Thanks for the great feedback. Yes, I’ve found that often people don’t really understand the copywriting process. It’s definitely a collaborative, creative process that includes active participation from both the client and the copywriter. Being clear with expectations helps and so does the understanding that time frames will vary on copywriting projects. For example, a long sales letter is going to take more research and writing time than a shorter project. I think it’s important to outline the process so there are not unrealistic expectations like “mind reading” — I haven’t quite mastered that… yet. I think that many business owners don’t understand the intricacies of copy and how it sets a foundation for many other parts of their business. Your process really is valuable, Lisa, it helps those you work with clearly understand what you can and can’t do, and the input you need from them, too. Nice job!! Thanks for the comment. You are so correct when you say “many business owners don’t understand the intricacies of copy”. It’s more than writing. It takes collaboration, creativity, proven formulas and training. I originally wrote this post because I found that many business owners were becoming more and more educated about the need for copy and when it came to hiring a copywriter the expectations didn’t always match the actual process. I think it’s better to be clear from the start. It is important to communicate this process! It amazes me how many people just don’t understand the creative process and what it takes to “get inside their head” to write or design a product that speaks in their voice and speaks right to their ideal clients. It isn’t something you can just whips out quickly and it isn’t a process you can delegate and get back done. The creative process is a JOINT process, a COLLABORATIVE process. Isn’t it shocking! What I have to do what? Work! you too must work in order to get results. It is amazing. And while I wish I were a mind reader, I am not. Hence the due diligence on the part of the client. 🙂 Collaboration is key.